Wilderness Ridge is the most unique golf course in the state of Nebraska. 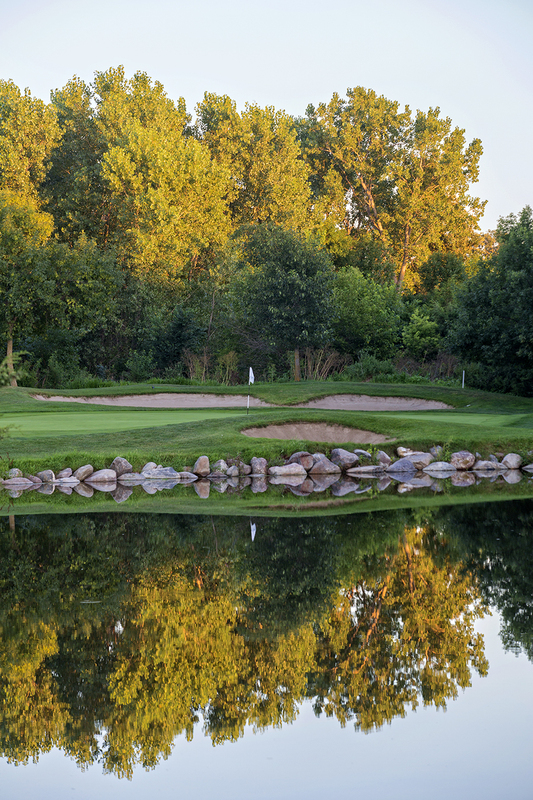 With its granite boulder-lined ponds and streams, waterfalls, bent grass fairways and more than 6,000 trees throughout the 18-hole championship course and 9-hole executive track, it’s truly a resort style golfing experience. And it's available to all players. Our Championship Golf Course, at just over 7,100 yards, has played host to some of the most prestigious events in Nebraska; including the United States Open Qualifying, Nebraska Section PGA Championship, Nebraska Mid-Amateur Championship and numerous collegiate championships. Weaving its way through the Wilderness Ridge housing development, the course is famous for its outstanding greens, fairways and unique water features. The Talon Course is a 9-hole, par-32 course with challenging holes throughout. This course meanders through Wilderness Ridge Business Park and makes for an enjoyable round in the morning, afternoon or evening and is a great course for a quick nine, small outing or golf league. 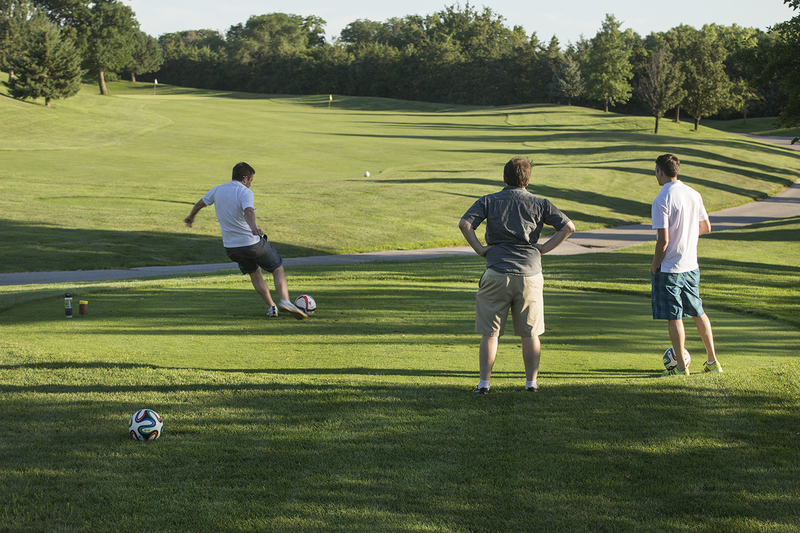 The Talon Course is also an AFGL accreditted FootGolf course. If you are just up for some practice, we offer a driving range with over 30 grass stations, a chipping and pitching green for the short game and a large putting green to hone your putting skills. 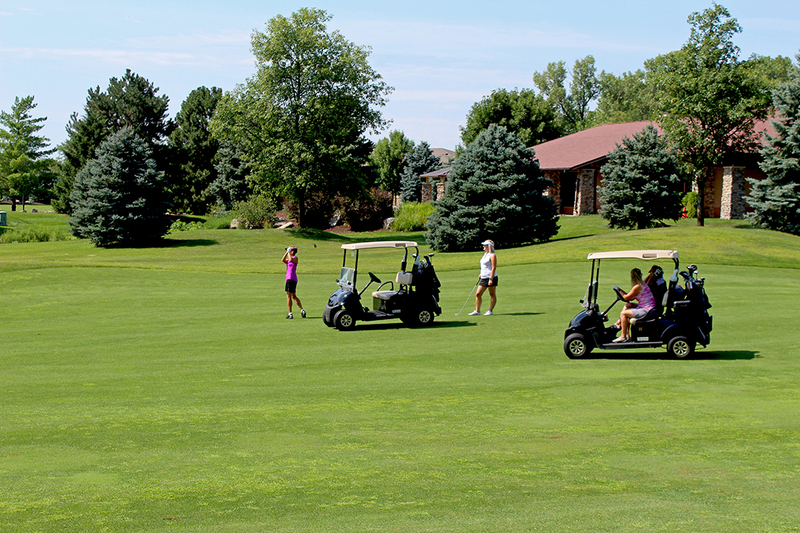 Our practice facilities offer some of the largest and best conditions in Lincoln and we invite you to make this your home course and practice facility. The Nebraska Golf Academy is a unique indoor golf training facility that offers over 2,000 sq. ft. of indoor putting and chipping surface. The Academy has seven covered, heated hitting bays and two teaching bays fully equipped with video and analysis equipment. Our PGA award winning Director of Instruction, Mike Schuchart, is here to help make improvements to your golf game so that no matter where you play, you will enjoy your round. Mike recently was inducted into the Nebraska Golf Hall of Fame for his many achievements in golf. 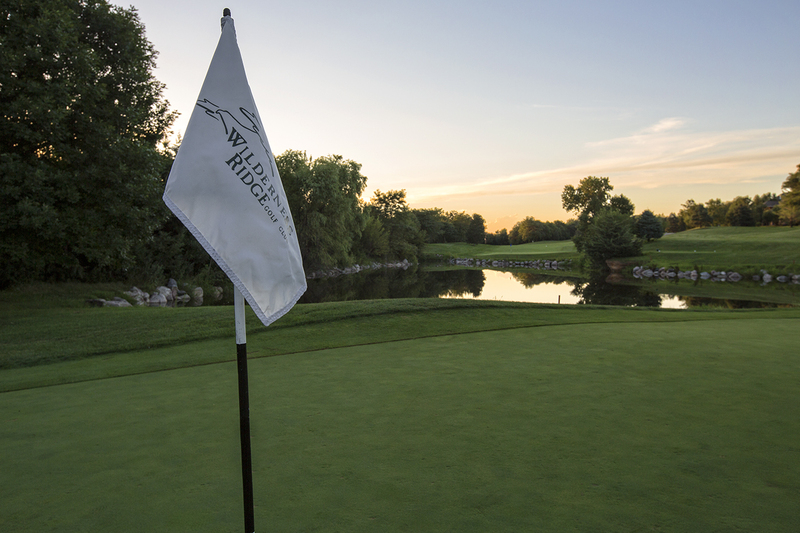 Wilderness Ridge is proud to call our course the home of The University of Nebraska-Lincoln Men's and Women's Golf Teams. "The golf course is kept in excellent condition. Decent prices for green fees and range balls. Beautiful clubhouse. We recently played the executive course (called Talon). It was a beautiful walk and a quick 9 holes. We loved it in our time crunch." 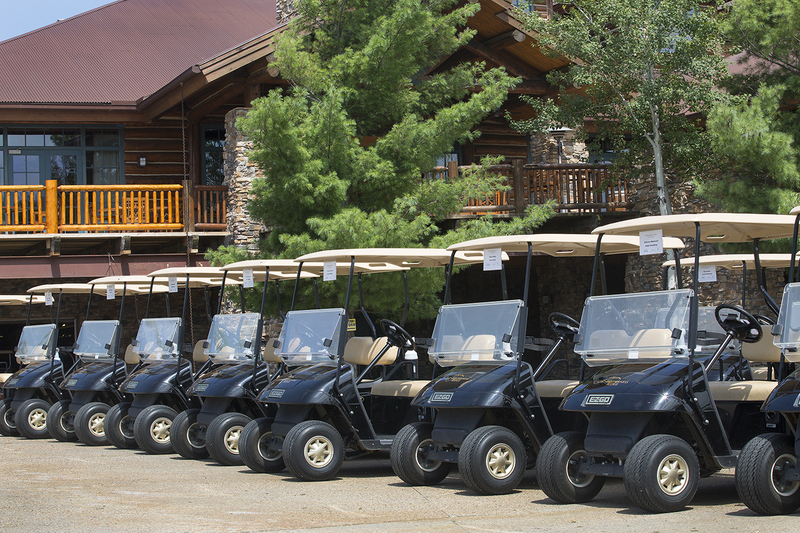 "I have enjoyed every round at Wilderness Ridge. It is a very challenging course with out of bounds coming into play on almost every hole. The pro shop staff has always been very helpful. Overall a great experience if you are looking for the feel of a private golf course without the same fees." 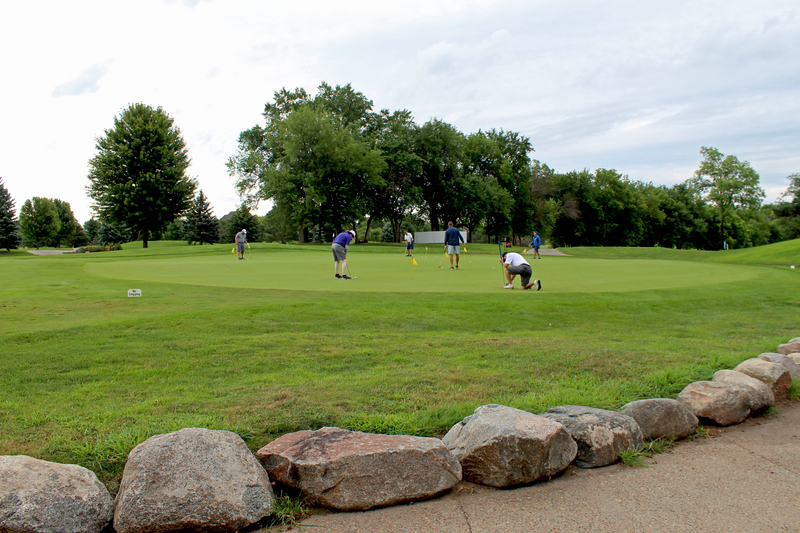 "A very beautiful course, greens and fairways were mowed and spacious. The tee boxes had been aerated, but were playable. The layout was nice, winding through neighborhoods, but yet very long driving in between holes. Staff was friendly, mowers were courteous. Will definitely play here again." The Nebraska Golf Academy is an awesome place for the Nebraska golfer in the winter. There is a chipping (yes chipping) and putting practice area indoors and climate controlled. It isnt usually busy during the week and acessability is great, pricing is alright. The hitting bays have great space for even a driver and the fact they are heated is even great when there is wind and snow coming down.